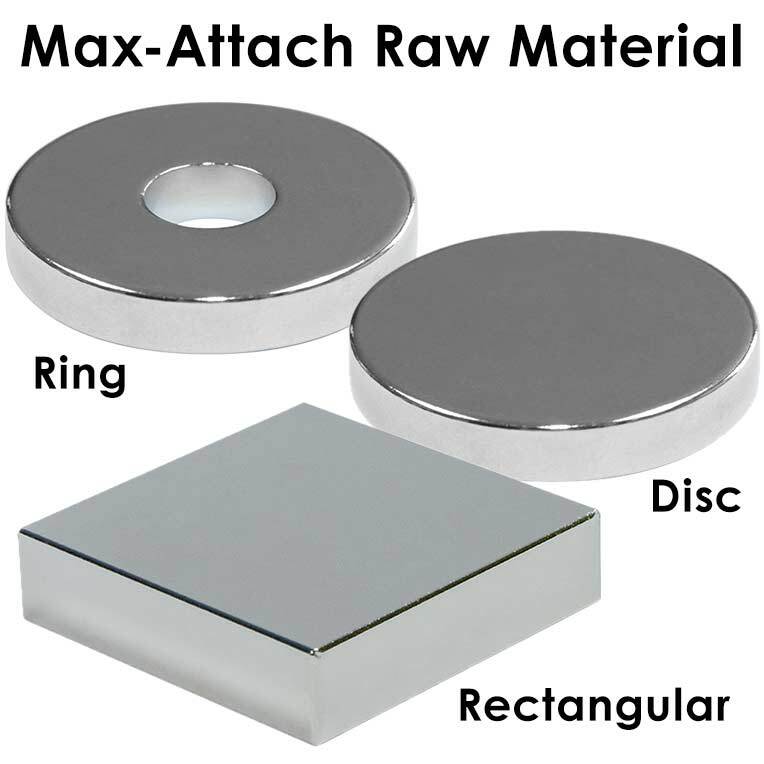 Max-Attach® Polymagnets® have unique possibilities compared to conventionally magnetized magnets. A particular magnetic function is encoded into the magnet, focusing the magnetic field for better magnet on metal performance. This revolutionary technology can deliver much greater shear strength and holding power than conventional magnets of the same size and grade for outstanding performance in standard applications such as magnetic hooks and hangers, magnetic whiteboards, and magnetic paint or primer. Traditional magnets don't hold very well to thin metal. This is because the magnetic field does not saturate the metal and extends through to the other side, where its magnetic energy is wasted and doesn't contribute to the holding force. The magnetic field on a Max-Attach® Polymagnet® is focused closer to the face of the magnet and therefore saturates the metal more efficiently, creating stronger holding forces on thin metal. In magnetic applications, shear strength refers to the amount of weight a magnet can hold when attached to a vertical surface. Max-Attach® Polymagnets® exhibit 2X to 8X more shear strength than conventional magnets, which just do not hold well on vertical surfaces and slide easily on metal. This is due to the difference in field saturation efficiency between conventional magnets and Polymagnets®. 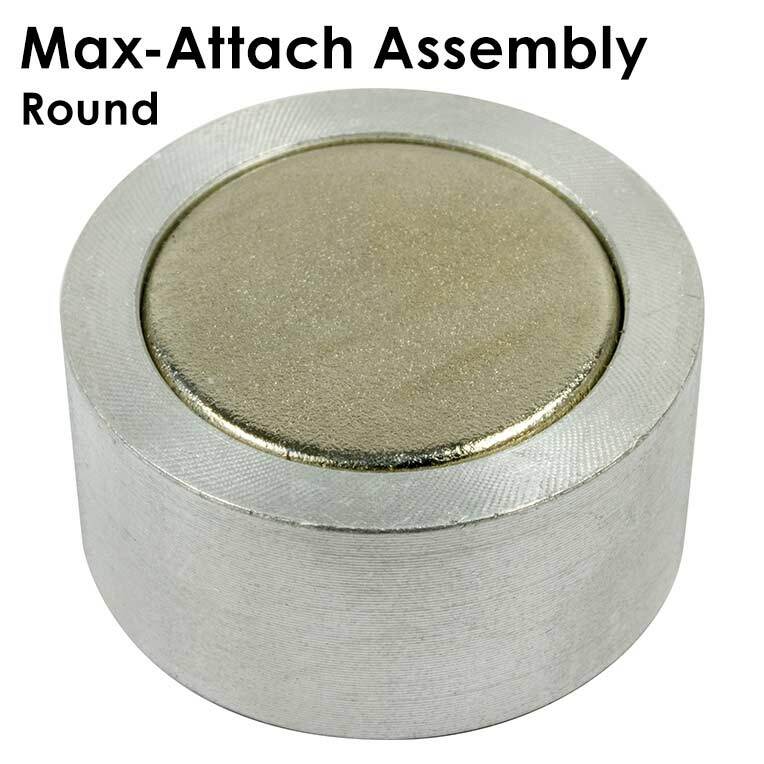 Max-Attach® Polymagnets® allow for incredible control of the magnetic field and are safer than traditional magnets because they can be encoded only to engage at very close proximity to either metal or other magnets. The “reach-out” of the magnetic field can be varied to suit specific design requirements. Max-Attach® is a trademark of Industrial Magnetics, Inc.
Polymagnet® is a trademark of Correlated Magnetics Research. These assemblies feature magnet materail in an Aluminum insulated cup. 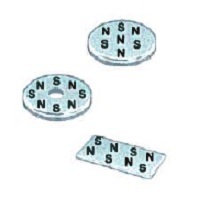 They can be press fit or mounted using the supplied tapped hole. +/- .003" diameter and +/-.015" length.